Total Fire & Safety at Navy Pier! 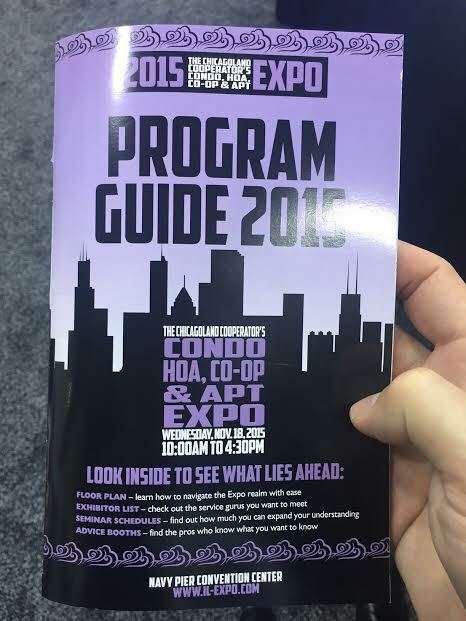 The Total Fire & Safety team is on the scene today at the 2015 Chicagoland Cooperator’s Condo, HOA, Co-Op and Apt. Expo at Navy Pier in Chicago. Pictured here at the TFS booth are (from left to right) Jeff Buff, (Customer Service Representative), Randy Donka (Outside Sales Representative), and Marc Spinder, (Outside Sales Representative). 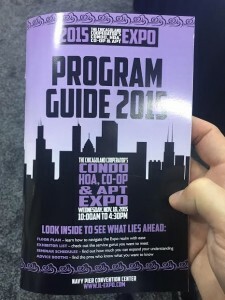 The show brings together thousands of board and association members, property managers, homeowners and apartment building owners to meet, attend educational seminars and get their questions answered. For Total Fire & Safety, this is a chance to showcase our various fire safety and first aid solutions. If you’re in the downtown area, join us today at Navy Pier! Free admission and lots of other freebies inside! If we don’t see you there, contact us any time with your questions regarding fire safety. We’re here to help. Category: Fire News, Fire Safety, Total Fire and Safety, Trends, Uncategorized Tags: chicago, chicagoland cooperator's condo, fire safety, fire safety solution, first aid, navy pier, news, TFS, today, Total Fire & Safety, Total Fire and Safety | Comments Off on Total Fire & Safety at Navy Pier! Overall age of the system. 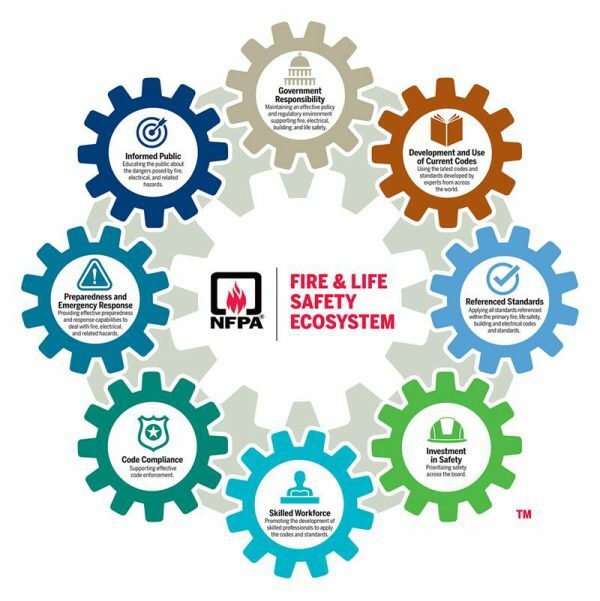 The industry has made great strides in fire prevention technology in the past decade. The industry continually makes equipment more efficient and reliable, so if it has been a while since you upgraded, chances are you’re missing something. Changes in your business or areas of your facility. Have you had any changes that would affect the fire code in a particular area of your facility? For example if you have relocated your flammables to a different area of the building, you may need additional protection, such as additional fire extinguishers or alarm monitoring to remain compliant with fire code. 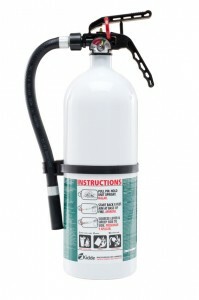 A fire protection professional can help you make the necessary adjustments. Too many service calls. Have you noticed you are calling more often for system malfunctions? Does it seem like you are constantly scheduling a service call from your fire protection service? Are service calls becoming more routine? Are the bills from your fire protection service inflating because of excessive service calls? These are signs that your older system needs an upgrade to function properly. As an added bonus, you will see a reduction in your service calls and maintenance fees! You are paying too much for your monitoring services. Many companies aren’t aware of how much they are actually paying their service company to monitor their fire safety every month. 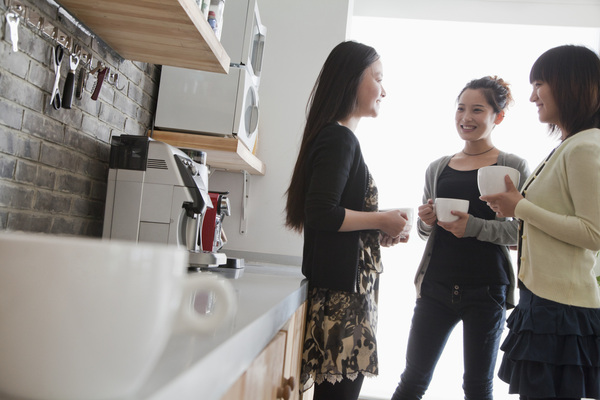 It’s possible a simple, inexpensive upgrade can result in a remarkable savings over time. For example, many companies are switching to wireless fire alarm monitoring systems, which allows them to cut their dual landlines and save 70% on their alarm monitoring services each month. 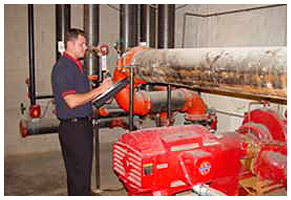 If you have an older building, or if you are wondering if an upgrade can save your business money each month, please call Total Fire and Safety at 630-960-5060 for a FREE evaluation of your current commercial fire protection service. Coming Soon! The Total Experience: A Revolutionary Fire Safety Solution! Are you ready for a more convenient, easier way to manage your fire and safety needs? For more than 20 years, businesses have looked to Total Fire & Safety for comprehensive, fire safety solutions. Recently, however, we began searching to make a good thing even better. We recognize that each day, our customers are challenged with keeping track of the installation, inspection, and maintenance of a growing inventory of fire and safety equipment in multiple locations. We wanted them to be able to see a complete picture of their entire fire and safety needs, all in one convenient record. We also wanted them to have an interface where they could access their own information and conveniently request and track service online. When we couldn’t find anything acceptable on the market, we decided to create something! With the help of a software developer, Total Fire & Safety developed the Total Experiencesm software for our customers! The Total Experiencesm is a revolutionary, one-of-a-kind, customer interface that provides real-time, comprehensive information about a company’s entire inventory of fire and safety equipment from one convenient, online portal. The fire safety solution is only available from Total Fire and Safety and gives customers convenient access and unprecedented control of their information. Here’s how customers receive the Total Experiencesm ! Customers login to the Total Experiencesm portal. Data for equipment can be requested by location, address, or managing agent. Customers can then drill down to request detailed status information for any piece of equipment. Each record shows date installed, inspected, serviced, and next date of service needed. If a piece of equipment needs service, schedule the appointment online from within the portal and even download the information to an Outlook calendar. Next, customers can set and customize “business alerts” by text or email to help remember appointments or times to order service. Business alerts can also give real-time progress updates of service technicians and even estimate their time of arrival on-site. Finally, customers can track financial data for each location and piece of equipment, and run valuable reports for making prudent purchasing and maintenance decisions. Look for the launch of The Total Experiencesm in December! 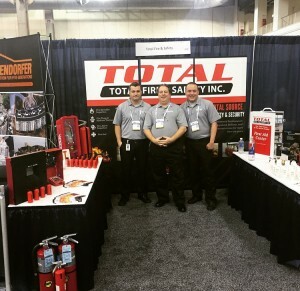 If you’d like to learn more about how the Total Experiencesm can help your business now, contact us at 630.960.5060 or at info@totalfireandsafety.com. Category: Total Experience Tags: fire and safety equipment, fire and safety needs, fire and safety software, fire and safety solutions, fire safety software, fire safety solution, Total Experience | Comments Off on Coming Soon! The Total Experience: A Revolutionary Fire Safety Solution! Welcome to the Total Fire and Safety Blog. Here you can get more information on keeping yourself, your children and your property safe from fire and disaster with easy preventative steps. Also should an emergency arise, Total Fire and Safety can educate you, your family or your employees on what to do, where to go and how to keep yourself and others safe in an emergency. 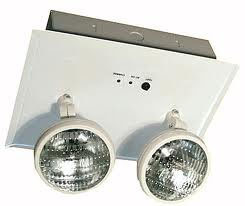 Also Total Fire and Safety offers full training courses on all of our technologies and equipment to be utilized properly in an emergency situation.